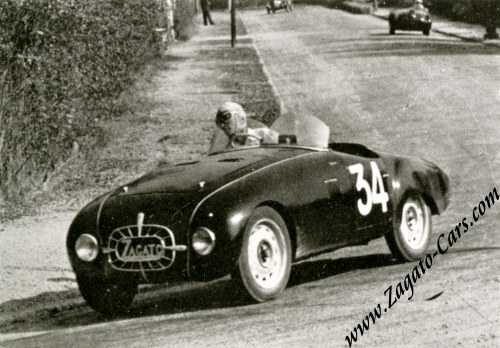 The above picture shows Elio Zagato on May 11, 1947 at the wheel of his first car, a Fiat 750 Sport Zagato, based on a Fiat Topolino Van chassis and transformed by his father, Ugo Zagato, into a stylish Barchetta. 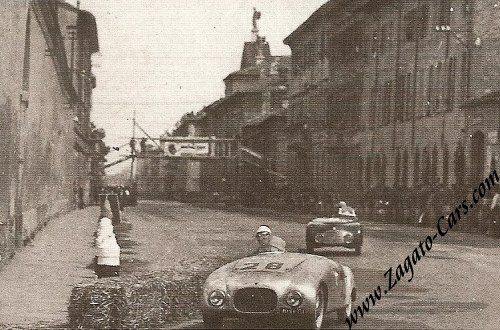 This picture shows the car in its initial shape, still in bare aluminium and without the landmark "Zagato" logo in the grill. 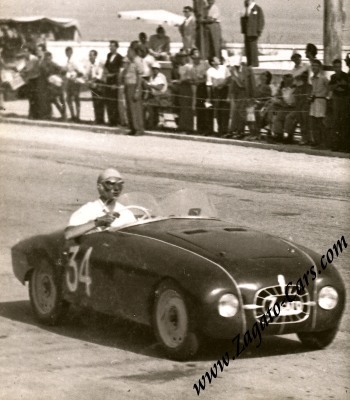 The car was registered under Milano plate 96334MI and appears to have been scrapped. 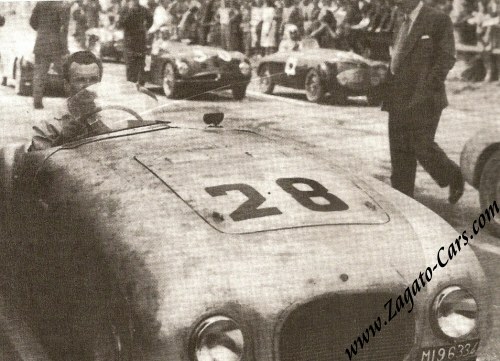 This picture was taken at the Sanremo circuit (Lido di Venezia?) in the immediate post-war years, probably 1947 or 1948. 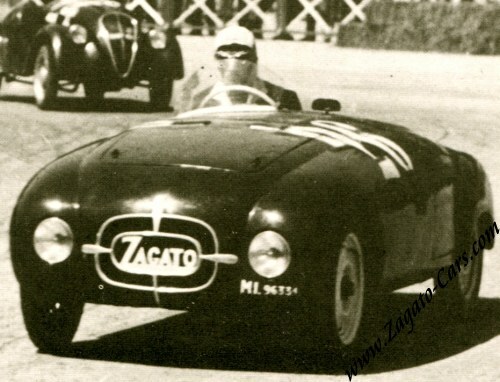 In the immediate post WW2 years, Ugo Zagato felt it hard to regain his pre-war vigour in building racing cars. 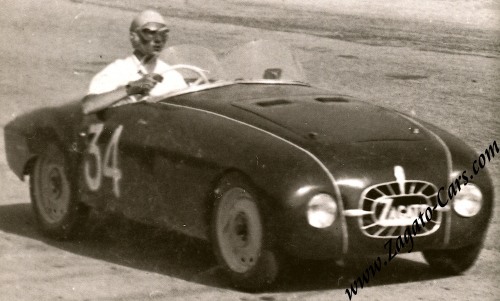 He lost his Milano plant in August 1943 to allied bombings and took his surviving workforce and tooling to an Isotta-Fraschini facility in Saronno where he took up the production of truck cabins for IF. 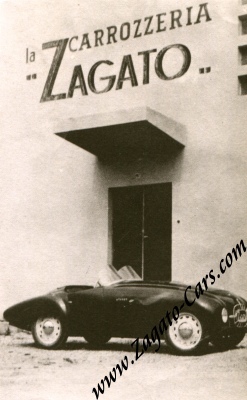 In 1947 Ugo moved into his new premises at the Via Giorgini 16 in Milano where the production of truck cabins was resumed but Ugo's interest in building car bodies was fading. 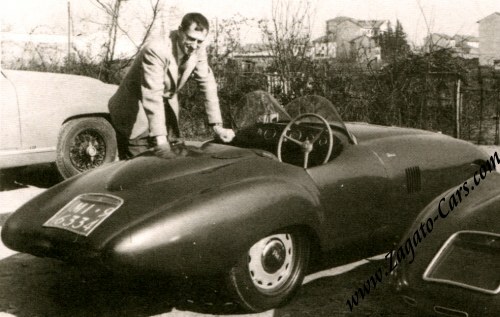 His son Elio was called in to help but not being too keen on spending his days behind a desk Elio became interested in racing. He took up the activiies in almost do-it-yourself contraptions of which the featured car is a nice example. 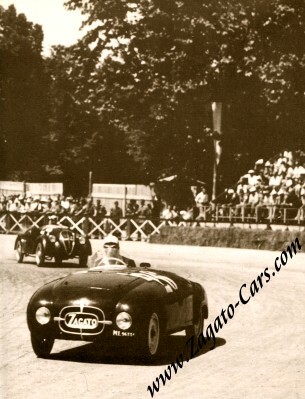 Although of an amateurish level at that stage, it became a great stimulus for his father Ugo and gave him back his zest for building ultra light racing bodies. 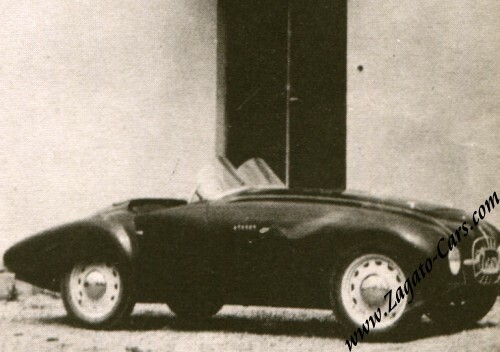 Following are more images of Elio's personal one-off Fiat Topolino Van Zagato Barchetta. 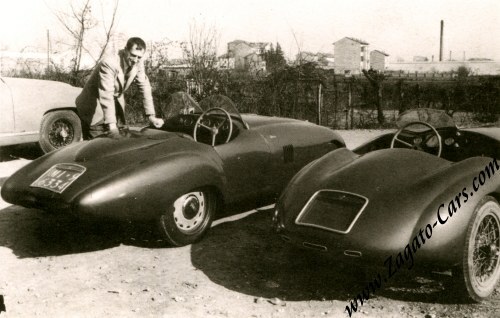 1947 Fiat 750 Sport Zagato along side another Fiat 750 "Special"